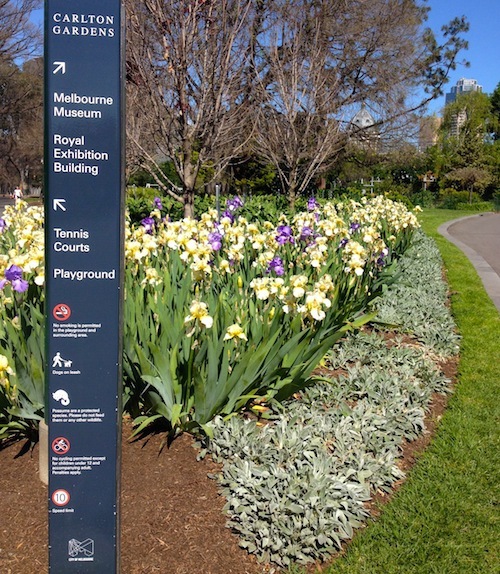 Easily one of Melbourne's most accessible gardens, this picnic spot is a favorite with students, office workers, writers, artists and families of all shapes and sizes. 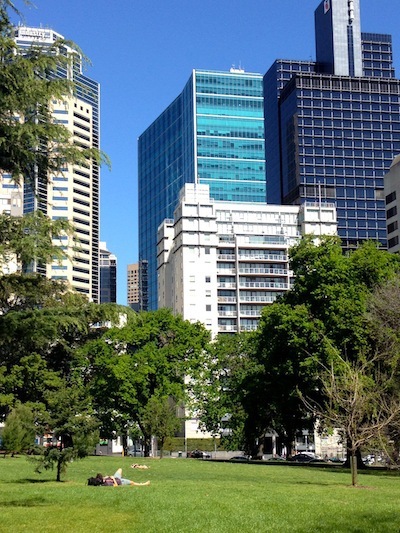 The Carlton Gardens hug the north of the CBD, and in spring and summer you can find many officer-workers enjoying going barefoot in the grass and eating their sandwich next to one of the two calming ponds. There really is a zen vibe to these gardens. The location would make it seem impossible, however trust me, tranquility has been achieved. I'm unsure if it's the city skyline above the trees or the sheer size of the park, however it feels like you're in your own little urban paradise. 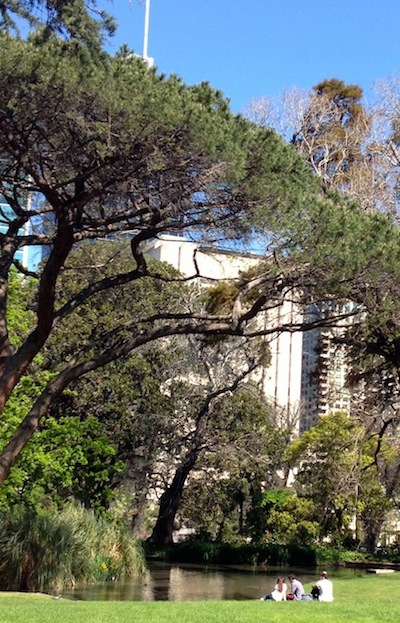 The gardens play home to the Melbourne Museum, IMAX and the Royal Exhibition Buildings, so they can fill up on special event days, however the rest of the year you can easily stake claim to a large picnic spot for you and your posse. The gardens are divided into two sections. The southern section of the gardens are much more botanical and tranquil. They house two ponds, one with water features, and the large iconic walkway up to the exhibition building and fountain (image below). The southern section of the garden is most likely to be occupied by students studying, officer-workers lounging and a couple of artists creating watercolor replicas of the view. The northern section of the garden boasts a large children's playground, picnic tables and working BBQs. This area is much more likely to be utilised by families, large groups of 20-40 year olds having a quiet laugh and a drink, and local residents just relaxing with a book and their morning coffee. You will notice that many of the trees have metal cylinders around them; this is to keep the possums away temporarily while the tree has time to rejuvenate. You may understand this somewhat controversial remedy more if you're in the gardens as dusk settles in. The possums climb down from their slumber-holes in their hundreds! Whilst they maybe cute, they are still wild animals and it is important that you do not try to touch or feed them, however it is fun to watch them run around the park. 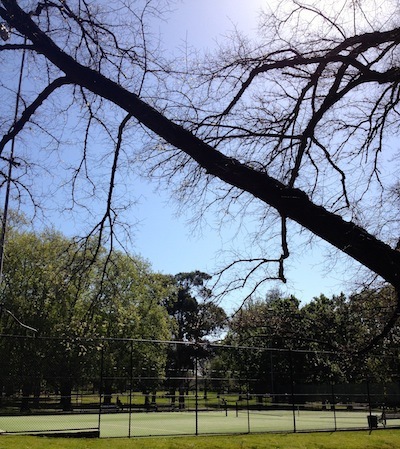 Other facilities at the Carlton Gardens include public bathrooms (however not a large number) and tennis courts. Most days you can also find the local skaters, rollerbladers and Roller Derby women training in the concrete division between the Exhibitions Buildings and the Melbourne Museum, as well as a small crowd watching them. The gardens are accessible by trams number 86 and 96, with the 112 and 109 getting you fairly close also. I really do love the diversity of community who utilise these gardens, as well as the botanical care that goes into keeping them look to pristine. It's a more relaxed alternative to the Edinborough Gardens in Fitzroy which can get a bit rowdy, and the Botanical Gardens in the south which can fill up over spring and summer.